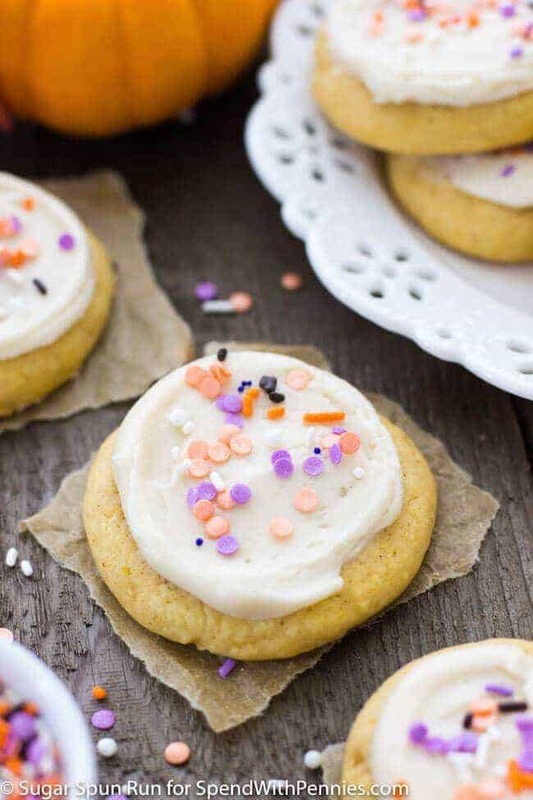 This Pumpkin Cookies recipe has a super soft, pumpkin sugar cookie base and tops the cookie with a deliciously easy cream cheese frosting! These easy pumpkin cookies make the perfect fall cookie! It’s beginning to look a lot like Fall around here! Ok, the leaves aren’t changing quite yet, and it’s still pretty warm outside, but kids are back in school, Halloween decorations are beginning to grace storefront windows, and Instagram is jam-packed with over-filtered snaps of Pumpkin Spice Lattes (or PSLs, as the cool kids are referring to them). 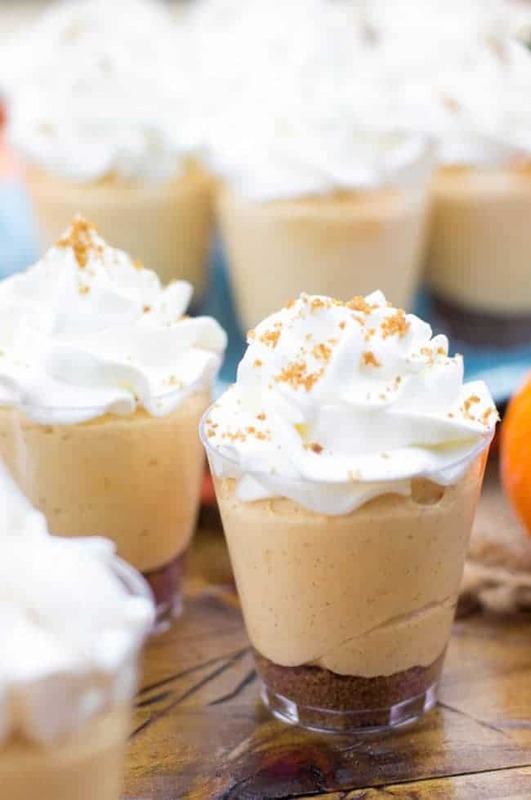 So, as far as I’m concerned, we are ready to bring on the fall treats! 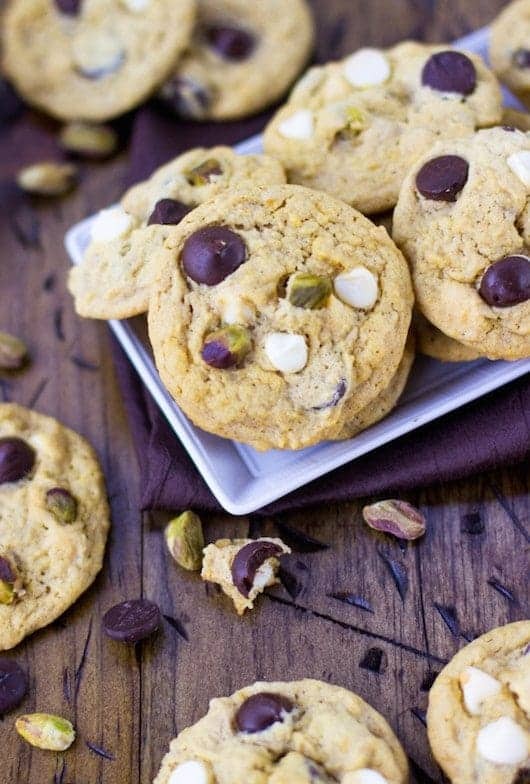 And what is more festive or Fall-appropriate than cookies made with pumpkin? 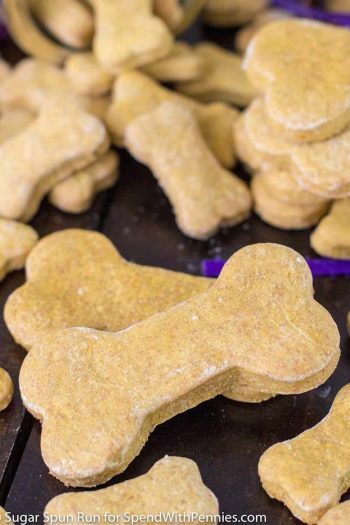 This pumpkin cookies recipe fits the bill. These pumpkin cookies are easy to make, but the dough does require at least 30 minutes of chilling in the fridge or the dough will be too sticky to roll. 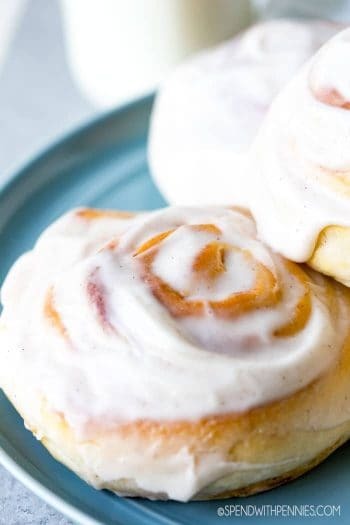 If your kitchen is particularly warm it can get sticky again quickly, so don’t be afraid to return it to the fridge for extra chill time or to work in a little more flour if needed for a more roll-able dough! 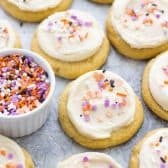 This pumpkin cookies recipe is perfect for any fall party. 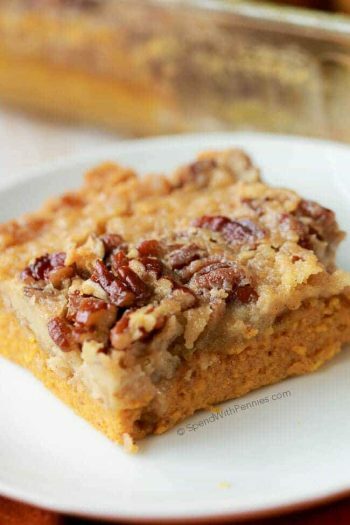 Loaded up with pumpkin flavor, these easy pumpkin cookies are beautifully soft and flavorful. 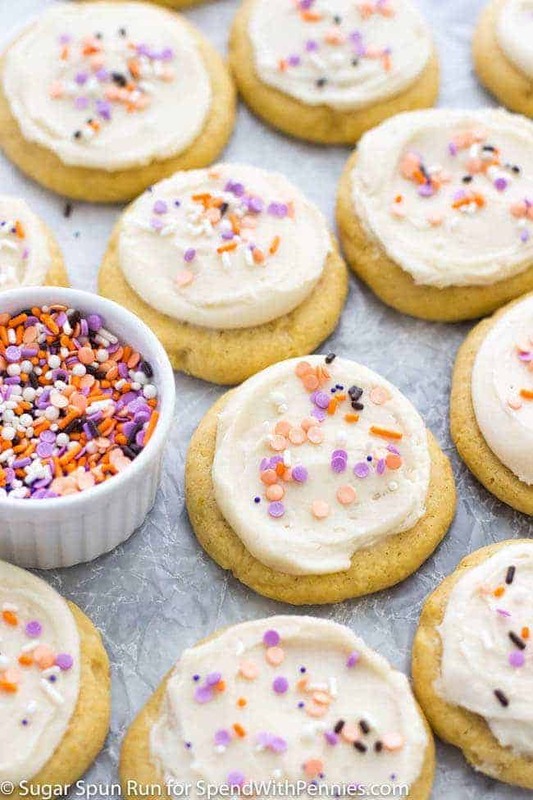 Frosted pumpkin cookies are the perfect way to welcome the changing season. 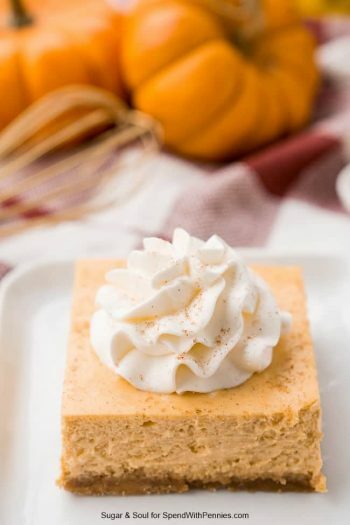 They remind me a bit of those Lofthouse sugar cookies you can buy in the supermarket, only these have much deeper flavors of pumpkin, brown sugar, and vanilla (and of course, just a hint of pumpkin spice). Add egg and egg yolk, beating until combined. Stir in vanilla extract. 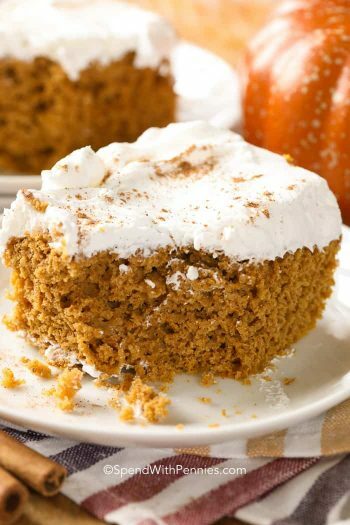 In separate, medium-sized bowl, whisk together flour, corn starch, pumpkin spice, and salt. Gradually (with mixer on medium-low speed) stir the dry mixture into wet ingredients, pausing occasionally to scrape down the sides of the bowl to ensure that all ingredients are well-combined. Remove dough from refrigerator and roll into heaping 1 1/2 Tablespoon-sized balls. Use the (clean) bottom of a glass or measuring cup to press down until cookies are about 1/2" thick. Place on cookie sheet at least 2" apart and bake on 350F for 12-13 minutes. Allow cookies to cool completely on cookie sheet before frosting. 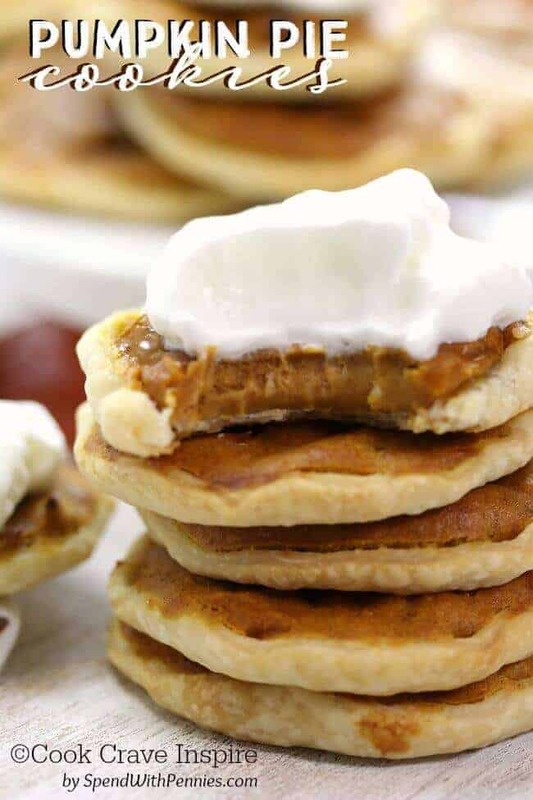 In a stand mixer fitted with a paddle attachment (or using an electric mixer and a large bowl), beat together cream cheese, butter, and brown sugar until well-combined. 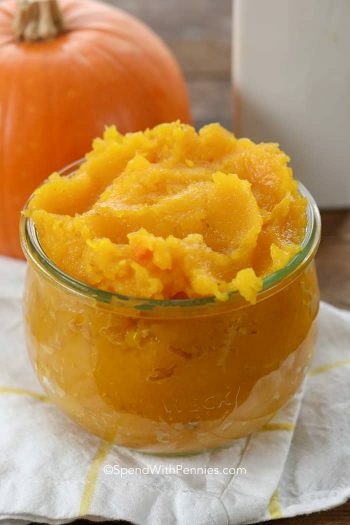 Stir in vanilla extract and salt, and then scrape down sides and bottom of bowl and beat briefly once more to ensure all ingredients are well-combined. Gradually, with mixer on low-speed, stir powdered sugar into frosting until completely combined (pausing occasionally to scrape down sides and bottom of bowl). 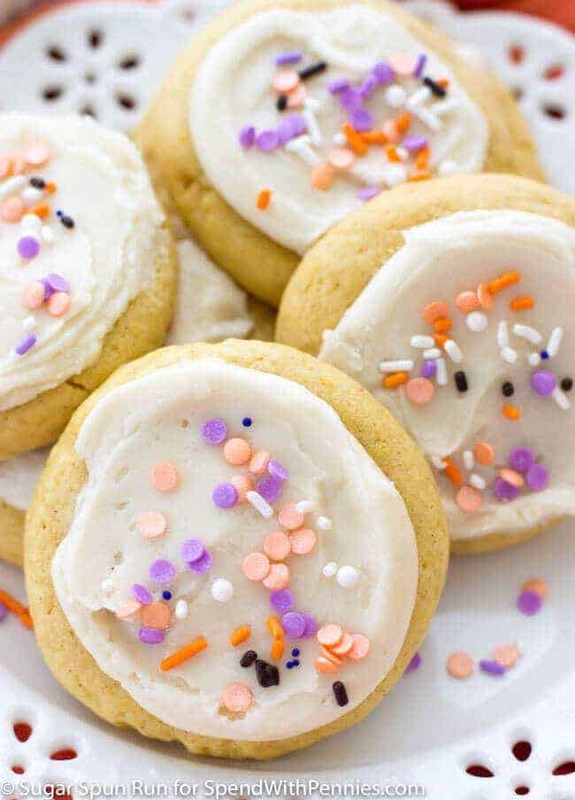 Once cookies have cooled completely, spread icing over the tops of cookies and immediately decorate with sprinkles.